This pilot study explored students’ responses to feedback about their own and their peers’ depression symptoms. The study also examined how experiences with the normative feedback might vary according to academic exposure to depression-related topics. For 9 weeks, female undergraduates (N = 73) completed a weekly web-based version of the 8-item Patient Health Questionnaire, which gauges depression symptom levels. Next, they participated in semi-structured face-to-face interviews where they responded to the personalized normative feedback. The interviews were transcribed, coded, and analyzed. Students responded favorably to the feedback and without notable distress. The feedback increased students’ awareness of their own depression symptoms and those of their peers. 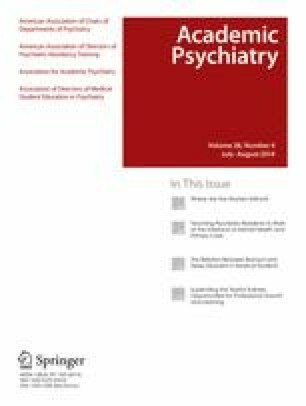 Those with higher academic exposure to depression-related topics were more likely to have accurate perceptions of their peers’ depression symptoms and were less likely to be surprised by information in the feedback than students with less exposure. Personalized normative feedback for depression symptoms has potential as an effective tool for promoting more accurate views of personal and peer depression symptoms and reducing barriers to help-seeking. Students with less academic exposure to depression-related topics may benefit from increased knowledge of how to gauge their own depression symptoms and increased awareness of their peers’ symptoms. Further research is needed to more fully evaluate the effects of this feedback and to directly assess the effects of this feedback on help-seeking behaviors. This research was funded by Stanford University Undergraduate Advising and Research. We appreciate our participants and interviewers who helped make this study possible. Dedoose. Website: http://www.dedoose.com. Accessed 15 Dec 2012.